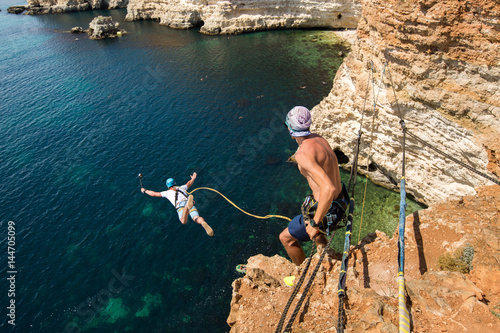 Rope jumping off a cliff with a rope in the water. The ocean. Sea. Mountain.